Prince William is with his wife at the private Lindo Wing of St. Mary's Hospital in Paddington, west London, where he himself was born in 1982. 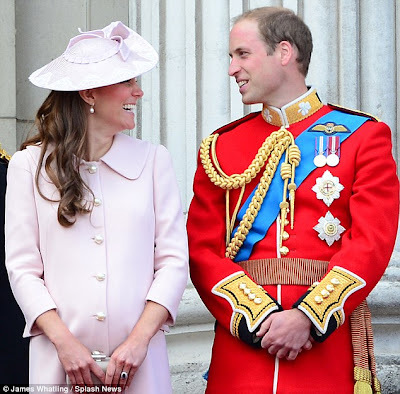 Palace officials chose to make the announcement that Kate has gone into labour public in an attempt to balance her 'dignity' with the fact that social media makes it almost impossible to keep her baby's imminent arrival a secret. 'The Duchess of Cambridge has been admitted this morning to St. Mary's Hospital, Paddington, London in the early stages of labour,' a royal spokesman said. The couple's child will become third in the line of succession, displacing Prince Harry to fourth and the Duke of York to fifth.